I have a young daughter (age six) who breaks out sometimes with hives after experiencing an occasional cold. She says it is sometimes itchy when she has hives. The doctors have said that it is all viral and there's nothing that can be done except to give her antihistamines. I don't like the idea of giving her too much antihistamines especially at such a young age and plus antihistamines can be drying to the skin as well. Can you recommend a more natural and non drying remedy/solution or aid. I have changed her diet to incorporate more veggies and fruit, but as a young child she does not always enjoy them. She drinks plenty of water. Recently I had a rash on my face and read your page. Luckily for me, I used some MY DAUGHTER'S HAND & BODY THERACREAM and it went away! I feel wonderful now!!! Speaking as a mother as well, we just want the very best care for our children and that means plenty of wholesome foods and reaching for natural remedies to assist the body. There are two products I strongly recommend for your daughter that will greatly help her. First, I recommend our IMMUNE SYSTEM BUILDER HERBAL EXTRACT which strengthens the immune system by increasing the body's T and B fighter cells enabling her own body to ward off germs, infection and bacteria that inflame, irritate and systemically cause a multitude of skin and scalp problems. Herbal extracts or tinctures are liquid plant solutions that are highly nutritive. These mighty supplements are administered by the drop/dropper and are highly potent. You see, the closer your supplements are to their natural state, the more valuable the medicinal and healing properties. This particular formula contains Echinacea, White Oak, Rose Hips, Juniper Berries, Cat's Claw. Although an adult would normally take 1/2 dropper daily, for your daughter who is only six years old, she would only need 5 to 7 drops (please note that these are drops and not droppers) per day. You can place them in her juice which is how a lot of moms and dads prefer to give their children this wonderful herbal remedy. Next, for the occasional outbreak of hives that she may experience, apply our MY DAUGHTER'S HAND & BODY THERACREAM wherever you see the rash. This fast working, hypo-allergenic cream will stop the itching while relieving the hives. Please let me know if you have any other questions and keep me posted on your little girl's progress. Rash Under My Breasts Won't Go Away! Comments for Rash Under My Breasts Won't Go Away! Response To: Rash Under My Breasts Won't Go Away! Unfortunately under breast rashes are fairly common in large breasted women and can be quite uncomfortable as well as resistant to healing because bacteria can hide in the crevices and any open cracks in the skin. The two products I highly recommend and that have worked successfully for many women in a like situation as yours are the following: First wash with our FACE & BODY WASH as this will thoroughly cleanse the skin and remove any bacterial growth. Next apply a thin coat of our MY DAUGHTER'S HAND & BODY THERACREAM as this will heal up the rash, stop any itching and provide anti bacterial protection. This will provide a tremendous, natural remedy for this skin condition. Further, for your dry scalp/scabs/itchiness the DOUBLE STRENGTH THERACREAM AND HERBAL SHAMPOO combination treatment will work the best for this condition and very quickly. Please feel free to contact me with any other questions you may have and keep me posted on your progress Virginia. MY FACE STARTED BREAKING OUT WITH SMALL BUMPS THAT TEND TO BE VERY ITCHY. THIS IS GETTING WORSE AS MY FACE FEELS EXTREMELY DRY AND FORMS DRY PATCHY AREAS THAT FEEL REALLY ROUGH WHEN I FEEL MY FACE. THE SKIN ON MY FACE FEELS TIGHT AND WHEN I APPLY LOTION, IT DRIES UP IMMEDIATELY MAKING IT FEEL VERY UNCOMFORTABLE. I THOUGHT IT WAS AN ALLERGIC REACTION INITIALLY BUT IT SEEMS TO BE GETTING WORSE. THE ITCHING IS REALLY BAD. I HAVE BEEN TO SEE MY PCP AND SHE PRESCRIBED ME CLARITIN BUT THIS IS NOT HELPING AT ALL. MY FACE LOOKS HORRIBLE. I'M NOT SURE IT IS ECZEMA BUT IT LOOKS LIKE IT IS. CAN YOU ADVISE ME ON WHAT TO DO? I have been using Desnoide lotion for 8 years now. Every time I try to stop using this product and try over the counter products my entire face turns bright red with red bumps that itch very much and feels very hot to the touch and to top it off very dry. I just ordered your Face & Neck TheraCream. I am counting the days to get the product since even my eyelids are starting to get itchy and dry. small, itchy bumps and dry, patchy, rough areas erupt. You mentioned that you were prescribed Claritin and it does not surprise me that this steroid cream is not helping at all. You should know that Claritin belongs to a class of medications called corticosteroids and that all forms of steroid creams can produce dangerous side effects. Claritin side effects include: burning, dryness, irritation, itching, or redness of skin, increased redness or scaling of skin sores, skin rash, blood-containing blisters on skin, changes in skin color, excess hair growth, increased skin sensitivity, lack of healing of skin condition, numbness in fingers, raised, dark-red, wart-like spots on skin, especially when used on the face, skin infection and thinning of skin with easy bruising. Here is what I strongly advise: First, wash with our gentle and pure FACE & BODY WASH that will deeply cleanse AND MOISTURIZE your skin even before you apply cream. This is an important feature since your cleanser should leave you with a plus moisture level and not a minus moisture level! Next you will want to apply our FACE & NECK THERACREAM twice daily. This rich cream penetrates all 7 layers of skin to unpack dry, damaged cells and restore much needed moisture from the bottom up to the very skin surface. The natural ingredients will quickly reduce redness and inflammation as well as stop the itching you are experiencing. Both of these products are formulated with skin nurturing ingredients that repair, restore and replenish natural moisture levels in the skin. Please keep me posted on your progress Stars as you begin your new regimen. We Recommend Your Products To Those Who Suffer From Skin Rashes! Your products are truly wonderful! I ordered your My Daughter's Hand & Body TheraCream as a first order. Since then, my daughter has ordered several of your wonderful products. Thank you so much for bringing healing to her skin condition. We are sharing the information with family & friends who suffer from skin rashes & highly recommend your products. Sincerely Yours! I developed a rash under breast that didn't respond to Neosporin, or zinc oxide, or aloe vera, or a natural herbal rash ointment, & I finally started using some over the counter hydrocortisone cream and am now seeing some drying & healing of the inflamed little dots, some with tiny heads of pus. Used it sparingly for a couple of days but with the area still looking very red went to see my doctor & she prescribed Clotrimazole and Betamethasone Dipropionate Cream 1%/0.05%. I have used them sparingly for 5 days and the area is now looking pale & much better. She said to use them for two weeks, even though it may appear healed. I hate to keep using it when skin looks good and so much better. Can you give me your opinion? Thank you. You mentioned being prescribed Clotrimazole and Betamethasone Dipropionate Cream 1%/0.05%. I will explain that Clotrimazole (brand name Canesten or Lotrimin) is an antifungal drug commonly used in the treatment of fungal infections of both humans and animals. Side effects include skin rash, hives, blistering, burning, itching, peeling, redness, stinging, swelling, or other sign of skin irritation. Betamethasone Dipropionate Cream 1%/0.05%. is a synthetic (man-made) corticosteroid that is used topically and is an immunosuppressant. The most commonly noted side effects of betamethasone are burning at the area of application, itching, irritation, and dryness. You should know that all steroid creams produce varying degrees of dangerous side effects. These side effects include: thinning and discoloration of the skin, easy bruising, permanent dilation of certain blood vessels, burn marks on skin, itchiness, perioral dermatitis, liver and kidney damage and a weakened immune system. Recent studies further reveal changes in the shape or location of body fat (especially in your face, neck, back, and waist), increased acne or facial hair, menstrual problems and impotence. Not only this, but steroid use almost always produces a "rebound effect" of the very symptoms you are trying to get rid of! The best treatment for skin rashes are natural ones! Here is what I recommend for your rash under your breasts. First wash only with our FACE & BODY WASH which is a hypo-allergenic and gentle body wash that contains absolutely no chemicals or ingredients that can be toxic to the skin. It will begin repairing your skin and provide anti bacterial cleansing while adding moisture to help bring your skin in balance. Next apply our MY DAUGHTER'S HAND & BODY THERACREAM on the troubled areas. This highly enriched cream is deep penetrating and able to penetrate the 7 layers of skin. It will stop any itching associated with your rash and promote optimal functioning of the skin processes and reduce inflammation. This cream provides much needed moisture and an anti bacterial, anti fungal and anti microbial protection. I have very sensitive skin and I had razor bumps on my bikini area. I was going to start using Hydrocortisone Cream but after reading this I want to know if I should even start because I'm pregnant also and I'm scared it will affect my baby? Certainly with all of the harmful side effects that using hydrocortisone cream produces, you will NOT want to use it especially if you are pregnant. It is good that you have come to this realization. Some of the side effects of using hydrocortisone cream include: thinning of the skin, easy bruising, permanent dilation of certain blood vessels, burn marks on skin, liver and kidney damage and a weakened immune system. To help relieve the rash and itchiness along with the razor bumps that many of us women experience from shaving our bikini area, I would highly recommend using our MY DAUGHTER'S HAND & BODY THERACREAM immediately after shaving and then once per day apply a light coat for continued protection and health to the skin area. You will be very pleased at the results and this is a purely natural treatment especially in light of your pregnancy....all the best to you! This is my first time using this website. Thank you for taking the time to read my question. So here it goes. Okay, so I've had a rash under my right breast for a few months and it keeps coming and going. It's driving me nuts! I'm 23 years old and I've tried the Hydrocortisone 1%, but it was the white cream one. The rash went away for a few days, but it came back. So I'm currently trying the Maximum Strength Hydrocortisone 1%, but this time, it's the clearer cream. I'm also using the Cornstarch and it does work. I got the rash from the under wire bras and I was working out with them on and I was sweating and it started to itch and that's how I got the rash. I think it's the under wire bras that cause my rash to come back. I don't now. It makes my breasts itch. I keep putting the cornstarch or the cream on everyday. I always wash my rash everyday. That's what I read online. Or what other good creams should I use? It is not uncommon for many women to experience a rash under their breast at some point in their lives. From what you have told me, yours began when you began sweating while working out with a bra that had an underwire. A rash can readily form in an area that produces excess sweat, has a fold in the skin, and rubs against something unyielding such as the underwire to your bra. You should know that using hydrocortisone or any steroid cream can have damaging side effects. These side effects include: thinning and discoloration of the skin, easy bruising, permanent dilation of certain blood vessels, burn marks on skin, itchiness, perioral dermatitis, liver and kidney damage and a weakened immune system. Not only this, but steroid use almost always produces a "rebound effect" of the very symptoms you are trying to get rid of! I would highly recommend keeping the area under your breasts cleansed with our gentle Face & Body Wash and follow this with an application of our My Daughter's Hand & Body TheraCream twice daily. This will help relieve the itching that accompanies the rash as well as help restore the area with our health building ingredients. Remember, that the body truly responds to natural ingredients. Please keep me posted on your progress Kayla. My Baby Has Body Rash - Don't Want To Use Hydrocortisone - Want Natural Remedy! I have one question about hydrocortisone cream. My baby is having rashes on her whole body and the rashes look like red dots. I took her to the doctor and she prescribed hydrocortisone. But today while talking to my friends I got to know that I should not use this cream for my newborn baby. This steroid cream has so many side effects so I don't use it anymore. I used the steroid cream for 7 days but I stopped and want to know if it will still leave any effects on my newborn body. I am worried about it. Why so doctors prescribe such harmful steroid creams if they have this kind of side effects? What should I use for my baby? Can you suggest some natural remedy for rashes. Comments for My Baby Has Body Rash - Don't Want To Use Hydrocortisone - Want Natural Remedy! Response To: My Baby Has Body Rash - Don't Want To Use Hydrocortisone - Want Natural Remedy! It truly is sad that too many doctors do not reveal the scope of dangerous side effects from using hydrocortisone cream! I am appalled at the number of doctors who continuously prescribe steroid creams and neglect to tell patients that there are proven, dangerous side effects! Not only this, but hydrocortisone and other potent steroid creams should only be used for SHORT TERM usage. All forms of steroid creams produce potential side effects and health hazards. Some of these side effects include: thinning and discoloration of the skin, easy bruising, permanent dilation of certain blood vessels, burn marks on skin, liver and kidney damage and a weakened immune system. The body will respond more readily with natural ingredients with long lasting results. Here is what I strongly recommend for your baby's rash condition: For bathing I recommend our FACE & BODY MOISTURIZING WASH which is a specially formulated mild cleanser that contains only herbal ingredients that are organically grown and hypo-allergenic and safe enough for baby's skin. This will begin to add moisture to her skin and soothe the skin layers. After bathing, gently pat her skin with a soft towel. Then moisturize with our HAND & BODY THERACREAM as this is extremely important for her rash condition. This specially formulated cream will stop any itching while it is repairing and bringing balance back to her skin - restoring the normal function of the skin. Apply as needed. Remember that the body truly responds to natural ingredients. You can also choose to add a little sterile water to the cream before applying it to your young daughter. You really will be amazed at how quickly these products work and the soothing effect it has immediately on the skin. We have moms and dads across the globe using these 2 products with tremendous success! Please let me know how your little girl is progressing Apeksha. Hi...I have two things to discuss. 1. My daughter's pediatrician in Vietnam gave her Candid-B to put on her son's rash of undetermined origin. He is 4 months old and was totally upset and in obvious pain when the ointment was applied. the ingredients are clotrimazole USP 1% and anhydrous Beckometasone Dipropionate BP 0.025. I'm taking this to be something like 1% hydrocortisone...do you agree? It is made in India. He was very, very upset. Do you know of any natural remedies in Vietnam or what we should even look for? 2. For four years I slathered over the counter 1% hydrocortisone over my right perineum for intense itching. Then for 2 1/2 years I had migrating pain which was discovered to be stage 4 lymphoma of the bones originating in my right pelvis. I firmly believe it was from misuse of the product. I was so crazy with the itching that the relief I got made me grateful for the product and I never considered the long term side effects. Thankfully I am considered cured (it was the one curable type of lymphoma) .... but no physician buys into the fact that I could have gotten it from the hydrocortisone. When I found out I was pregnant 6 months ago, I was ecstatic. Then I was mortified when my doctor told me to stop using my prescription cortizone (Clobetasol 0.5%). It was my safety net and my band aid as a lifelong atopic dermatitis sufferer. My doctor told me to just buy the OTC brands. For about 3 months I relied on the over the counter products without realizing that I was buying 2-3 tubes a week just to compensate for the dose that my skin was used to. Yet my eczema continued to flare up. After a much needed argument with my husband, I have stopped using them all together. It's been about a week and needless to say I am in terrible condition. I plan to use natural products from now on. I know this journey may be difficult but I would like a better option for my child in case he or she also has eczema. Thank you for your site. It gives hope to those who are now just realizing the hazardous effects of hydrocortizone! I have several natural recommendations which I will list below. Know that the body has a remarkable ability to heal, repair and regenerate once given the proper tools to do so. First, wash the affected area with our FACE & BODY WASH which is a hypo-allergenic and gentle body wash which contains absolutely no chemicals or ingredients that can be toxic to the skin and will begin the repair process. Next, apply our HAND & BODY THERACREAM carefully to the affected and surrounding areas. A thin application is all that is necessary. This will penetrate the skin, reduce inflammation and stop any itching while doing so. Now onto your second issue for discussion. First let me say how thankful and thrilled I am that you are cured! Regarding the four years that you used 1% hdyrocortisone and the resulting stage four lymphoma of the bones I have this to say. In your case of using hydrocortisone cream over your perineum for four years, you should know that the genital area absorbs 30% of this cream into the bloodstream while another part of the body, the forearm for instance, absorbs only 1%. Considering the length of time you used the cream, the area it was rubbed into and absorption level and the known side effects, focusing on the weakening of the immune system, the evidence is overwhelming that the possibility of your past cancer could very well have been caused by steroid use! I highly doubt you will find a traditional medical doctor to agree with this unless they have an interest in natural health care as well. I firmly believe that each individual has the responsibility to obtain the knowledge necessary to make informed decisions about their personal health care or the health care of loved ones. One of the main goals of this website is to help people understand and gain a deeper knowledge about their condition and thereby make the best decision possible. Please keep in touch Joan. I've had a rash for years in the back of my neck. I never really cared to take care of it. But that area started itching so much and the more I scratched that area turned black, it also has raised bumps. I went to a dermatologist and with just a glance she said it was neurodermatitis. How can she automatically know what I have just by looking at it? Should I get a biopsy? And now I just went to another doctor and he also just glanced at it and gave me this cream you're warning me about. I haven't touched it because I don't trust his judgment just by glancing at my rash...Please give me your advice on getting a biopsy...Thanks! I certainly realize how frustrating it can be to go to several doctors and come away feeling like you still have no answers. From what our customers share, I can tell you that the majority of dermatologists will send you away with some type of steroid cream or prescription and usage of these produce serious, damaging side effects that many people are not made aware of. I am not going to presume to know exactly what your condition is and you should know that while one doctor will label symptoms one way, another doctor will label symptoms another way. Believing in holistic health care, I will give you my recommendations for you to consider to help relieve your itching back. The best treatment for itching rashes are natural ones! First wash only with our FACE & BODY WASH which is a hypo-allergenic and gentle body wash that contains absolutely no chemicals or ingredients that can be toxic to the skin. It will begin repairing your skin and provide anti bacterial cleansing while adding moisture to help bring your skin in balance. Next apply our MY DAUGHTER'S HAND & BODY THERACREAM on the troubled areas. This highly enriched cream is deep penetrating and able to penetrate the 7 layers of skin. It will stop any itching associated with your rash. (Note that the cycle of chronic itching and scratching can cause the affected skin to become blackish or thick and leathery). The goal is to promote optimal functioning of the skin processes and reduce inflammation. This cream provides much needed moisture and an anti bacterial, anti fungal and anti microbial protection. Internal Considerations: To thoroughly cleanse your bowels, begin taking our INTESTINAL BOWEL CLEANSER to remove impacted waste matter and toxic build up as well as assist in cleansing the liver and kidneys. This will greatly build and strengthen your bodily systems which will have a positive impact on your overall health. Also consider that it is very important to nurture your entire body. I strongly recommend our GREEN POWERHOUSE to provide your body with the widest array of vitamins, minerals and enzymes needed by the body to repair and replenish and contains the highest amount of chlorophyll which further cleanses every cell as well as promotes healthy cell growth, functionality and development. I am suffering with pityriasis rosea. Can I use hydrcortisone cream for this? I am scared of going to a doctor. Please if you know some home remedies or cure for this thing than please tell me. I am so worried. Thank you. Helping people become informed about how to care for the body and educating our viewers on natural, health building remedies is what our website is all about. For our website viewers, let me explain that Pityriasis Rosea is a skin rash that often sweeps out from the middle of your body, with a shape that resembles drooping pine-tree branches. Pityriasis Rosea usually begins as one large, slightly raised, scaly spot on your chest, abdomen or back called the "herald" or "mother" patch. Then this condition often has a distinctive appearance once the rash spreads. The rash is often is scaly and pink, but if you have dark skin, it may be gray, dark brown or even black. Patches may also occur on the neck, but rarely on the face. About half the people with this condition will have some itching, especially when they become warm. Physical activities like jogging and running, or bathing in hot water, may cause the rash to temporarily worsen or become more obvious. I would certainly NOT recommend using hydrocortisone as I am a firm believer in the short and long term benefits of using only natural, health building ingredients. Here is what I strongly recommend for your condition that is natural and fast working. First, only wash with our hypo-allergenic, chemical free cleanser, FACE & BODY WASH, which will quickly add much needed moisture to your skin and begin the restorative process. Next, apply our MY DAUGHTER'S HAND & BODY THERACREAM which will penetrate the skin 7 layers deep and add abundant moisture as well as stop the itching and provide anti inflammatory properties. Both of these products contains plenty of vitamins and nutrients to repair, fortify and protect your skin. Follow these recommendations and please do not worry Sadia and keep me posted on your progress. I have a really bad rash under my nose which is also above my top lip (almost like rash mustache). Also between my eyes almost on my forehead and around my eyes and a top of my eyelids and on the side of my chin. I have used everything - first it was hydrocortisone 1 %, then my doctor gave me Mupirocin 2 %, Aquaphor and Vasaline. I even took allergy pills and I even put olive oil on, but nothing has worked. Now my face is really dry and flaky under my nose. when I wash my face I use gentle Cetaphil soap bar....... please help, what should I use?? I have almost the same problem that I am encountering as of this moment...rash and dry itchy bumpy spots around my eyelids and eyes and now it started to come out on my forehead....and I have one on my neck as well that has worsened after I put this hydrocortisone cream and vaseline on. I will try your products and I am hopeful they will work! This is my first time having this kind of problem and I am getting frustrated! I told myself it was because of the weather because it is Winter now plus I became so addicted to coffee lately and I don't drink water that much! I'm excited to try the products you suggested below!! It doesn't surprise me that nothing has worked. You should know that there are so many dangerous side effects from using steroid creams. These include: thinning of the skin, discoloration, easy bruising, permanent dilation of certain blood vessels, burn marks on skin, liver and kidney damage and a weakened immune system. Most over the counter products such as Aquaphor, Cetaphil soap bar and Vasaline, which you mentioned using, can actually increase the skin's dryness levels because they contain mineral oil or other petroleum based by products. These ingredients have NO usefulness to the skin nutritionally and in fact, the molecules are too large to even pass the pores of the skin so the cream just sits on top and literally suffocates these pores thereby causing further dryness and damage. Next you will want to apply our FACE & NECK THERACREAM twice daily. This rich cream penetrates all 7 layers of skin to unpack dry, damaged cells and restore much needed moisture from the bottom up to the very skin surface. The dry, flaky, rash like symptoms will dissipate as balance begins to be restored. Both of these products are formulated with skin nurturing ingredients that repair, restore and replenish natural moisture levels in the skin. Please keep me posted on your progress Penny as you begin your new regimen. Rash Is Gone In THREE Days!! It's always great to hear when the information provided in our website proves useful to our viewers. It would be difficult to provide you with one particular source as the information in this website has been compiled with data accrued from years upon years of study, research, development and experience. I wish you all the best in your personal research and studies! I had a chemotherapy treatment and I just finished my radiation treatment. The doctor told me to use Aquaphor and hydrocortisone cream, but I got a reaction that started coming out like big pimples or blisters. One is on my cheek and it's big and my face is getting worse. I don't know what to do? causing further dryness and damage. I have two very natural and deep penetrating products that I highly recommend to you. You can use them daily. First, what you wash with is so very important and I can't emphasize this enough. Many products on the market today are loaded with harsh, drying ingredients that strip the natural PH of your skin leaving it further vulnerable to the effects of sun, wind and environmental air. Use our gentle and pure FACE & BODY WASH that will deeply cleanse and moisturize your skin even before you apply cream. This is an important feature since your cleanser should leave you with a plus moisture level and not a minus moisture level! Next you will want to apply our FACE & NECK THERACREAM twice daily. This hypo-allergenic cream penetrates all 7 layers of skin to unpack dry, damaged cells and restore much needed moisture from the bottom up to the very skin surface helping to restore balance. Both of these products are formulated with skin nurturing ingredients that repair, restore and replenish natural moisture levels in the skin. Know that for the rest of the body I would recommend our MY DAUGHTER'S HAND & BODY THERACREAM which will relieve any dry, rash like symptoms as well as any itchiness. Please keep me posted on your progress Claudia and contact me anytime with any questions you may have! My name is Susanne:) I broke out with a rash on Sunday of last week and I went to the doctor on Monday. I told him I could not take any pills but I would try a cream he recommended - just an over the counter cream - since I am sensitive to drug pills. I bought Benadryl and got some relief for only a few days. It then started to burn a bit and I started to have breathing problems so I stopped using it. Tomorrow I am going to the organic store to see if anyone can suggest a natural cream or something safe to help me. For now I have only been soaking in a cool bath with no soap. It's all over my arms, back of my legs chest & upper back. The reason for the rash is I tried some Neem oil on my body for a few days and I reacted to it. I thought I was getting bites on my legs but I thinks it's nerves. I appreciate your advice and any help for a goodnight sleep - feeling discouraged and tired of the battle. Are you in the States I am in Toronto Canada? Our company strongly believes in natural remedies and the following is what I highly recommend you use to relieve your symptoms: Wash with our hypo-allergenic, chemical free cleanser, FACE & BODY WASH, which will quickly relieve your rash and add much needed moisture to your skin and begin the restorative process. Next, apply our HAND & BODY THERACREAM which will penetrate the skin 7 layers deep and further add abundant moisture as well as stop the itching. This amazing cream contains plenty of vitamins and nutrients to repair, fortify and protect your skin. You can apply it everywhere you have dry, itchy, skin. These products will repair the skin and bring it back to a healthy balance. As far as shipping goes, although we are located in the USA, we do ship world wide. We refer our International customers to our sister website at: www.aim2health.com which carries all of the same products as www.skin-remedies.com and serves our International customers outside the USA. At our sister site, we are able to provide multiple shipping choices at real time shipping costs to better serve our global customers. Please keep me posted on your progress Susanne. I have had a horrible rash around my eyes for the last two weeks and my doctor gave me 1% hydrocortisone. I have changed all my washes to no soap wash, but nothing is helping and it is getting worse and worse. What should I do!? Comments for Rash Around My Eyes!!! Response To Rash Around My Eyes!!! Unfortunately, you are seeing how the use of hydrocortisone will only attempt to suppress your rash symptoms and ultimately leave you with a worsened condition. Not only this, but using any steroid cream produces varying degrees of harmful side effects. These side effects include: thinning and discoloration of the skin, easy bruising, permanent dilation of certain blood vessels, burn marks on skin, liver and kidney damage and a weakened immune system. My first recommendation is to stop using the harmful hydrocortisone cream - especially on your delicate eye area. Next, you will need to wash only with our FACE & BODY MOISTURIZING WASH that provides a gentle but thorough cleansing which will remove dead skin cells as well as environmental debris but does not strip the skin of it's natural PH. Then apply a thin coat of our FACE & NECK THERACREAM which is a natural facial cream that is hypo-allergenic and fragrance free. It is suitable for all skin types and is gentle enough for the most sensitive itchy, rash conditions around the eyes (avoiding inner eye areas of course) and quickly relieves dryness and itchiness. It's that safe and that effective! Do this twice per day until your condition is relieved and simply once per day after to keep your skin healthy and nourished. Please keep me posted on your progress Martha. I was a young child when I had a strong rash on my upper body. My doctor at the time gave my mother a steroid cream which was used on the top of my chest to numb or get rid of this rash or itchiness I was having at night. Next morning I looked at the top of my chest where the skin had the cream and it had gone very dark brown in color. I was shocked and now it has been over 7 years and it is still there. I feel like I am stuck with it and it looks awful. I am now having social problems when people see it especially when I go swimming. Please can you give me something which is effective in this removal of this problem and can return my skin back to normal color? Hyper-pigmentation is very common when using steroid creams. It is one of the many detriments of using hydrocortisone and steroid type creams. I would recommend using our MY DAUGHTER'S HAND & BODY THERACREAM regularly, day and night to help repair the deep down damage that has occurred to your skin from a young age. With continued use, this cream works to unpack damaged cells 7 layers deep and to repair and restore health and balance for proper functioning of the skin which will have an enormous effect on the skin tone. Please keep me posted as to your progress Khan. Back before September my face had always been good. No flaky skin, no redness at all. My mom had eye surgery and my sister brought over flowers for her. For starters, flowers can trigger asthma attacks in me. I just tried to stay out of the house until they got rid of them, but it was bad on my breathing the whole time. About a week and a half after they were here I developed a rash on my face. It's red burning, and slightly itchy. It's a slim line going up the skin on both sides of my nose (not on my nose, just the skin beside it) The right side is wider though, and my forehead even has red spots of itchy/flaky/dry red burning skin. The problem is, if water gets on it.....water makes it burn worse and get even darker red. I ordered a facial wash and a lotion from some company that were all natural from different plants, no fragrances or chemicals that I would be allergic to either. Well, that also made it worse and it just got more and more red. So basically, as long as I wash my hair without my face getting wet, and I don't put anything on my face it's minimal, but it still looks bad and kind of a blow on the self esteem. I'm not a bad looking person.....but with this it definitely isn't pretty. Anyway I usually have Total cereal in the morning now with the majority of your daily vitamins, I typically eat healthy foods throughout the day, don't eat salty foods, I drink about 5 or 6, 16 ounce glasses of water a day, etc etc. What can I do for my skin condition? It's only on the spots described, but like I said water makes it burn and gets even more red and dry, so I can't even take a shower now I just take quick baths and wash my hair under the faucet to keep it from getting wet. The cold outside is making my skin more and more dry, but if I use lotion for the flaky skin it will make my redness worse..... Any ideas would be appreciated. Thanks. Allergic reactions to flowers can certainly trigger asthma attacks and subsequently eczema symptoms! These reactions indicate an over-reactive immune response to some type of irritant or allergen. The body reacts with the normal immune response, but the response is intensified, causing a burning rash, itching and dry skin. You see, the body produces histamine in the inflammatory response to help fight an infection or allergy. Histamine causes blood vessels to dilate, while increasing their permeability. These actions cause swelling in body tissues. Histamine also affects the bronchial tubes, causing them to constrict. Histamine release is what is responsible for the symptoms of this common skin condition. To restore and build your immune system, take our INTESTINAL BOWEL CLEANSER to remove impacted waste matter and toxic build up as well as assist in cleansing the liver and kidneys. This will greatly build and strengthen your immune system which has been adversely affected by allergens. To nurture your entire body, take our GREEN POWERHOUSE to provide your body with the widest array of vitamins, minerals and enzymes needed by the body to repair and replenish and contains the highest amount of chlorophyll which further cleanses every cell as well as promotes healthy cell growth, functionality and development. To relieve your skin condition, first wash with our FACE & BODY WASH which is a hypo-allergenic wash which helps to reduce inflammation and wash away the dead cells from the skin while providing an anti bacterial cleansing. This is critical in order to begin the healing process. Most soaps, even doctor recommended ones, contain harsh and drying chemicals that will only exacerbate the symptoms. Avoid these! Next, apply our FACE & NECK THERACREAM twice daily focusing on the areas exhibiting the symptoms. This rich cream penetrates all 7 layers of skin to restore and repair from the bottom up to the very skin surface. The symptoms will dissipate as balance begins to be restored. Both of these products are formulated with skin nurturing ingredients that repair, restore and replenish natural moisture levels in the skin. My 5 month old nephew has a fungus infection(that's what we think) especially on his forehead and a spot on the back of his head. His doctor did look at it, but recommended a prescription cream and did say that it might cause his skin to become lighter? My sister in law decided not to use the cream, she's been putting a real heavy cream, that seems to help with the itching, but it's not going away. Since he's just a baby, she really doesn't want to use any creams that contain, steroids, what would you recommend? First, I am thrilled that your sister in law does not wish to use the prescription cream because continued use of topical steroid creams containing hydrocortisone and the like can cause the skin to develop a resistance (called tachyplaxis) to the medication. As a result, in order to have the desired medical effect, a stronger and more potent steroid may be needed, which may cause even more potential side effects. These side effects may include: thinning of the skin, easy bruising, permanent dilation of certain blood vessels, burn marks on skin, liver and kidney damage and a weakened immune system. That said, I give high praises for seeking a natural alternative as this will make a huge difference in his recovery. First, bath him with our FACE & BODY MOISTURIZING WASH which is a specially formulated mild cleanser that contains only herbal ingredients that are organically grown and hypo-allergenic and safe enough for baby's skin. This will stop the itching and begin to repair his skin and keep the skin layers cleansed. After bathing, gently pat his skin dry with a soft towel. Then apply our FACE & NECK THERACREAM as this is extremely important for his treatment. This specially formulated cream will provide anti-bacterial, anti-microbial and anti-fungal protection while it is repairing and bringing balance back to his skin - restoring the normal function of the skin instead of just placating the symptoms. This too has strong anti-itch properties. Remember that the most effective, specially formulated products are plant based, have a very rich emollient level and are loaded with nutrients. Since our FACE & NECK THERACREAM is thick and rich, you can choose to add a little sterile water to the cream before applying to baby. You really will be amazed at how quickly these products work and the soothing effect it has immediately on the skin. Please feel free to contact me with any other questions you may have and let me know how your little nephew is progressing. 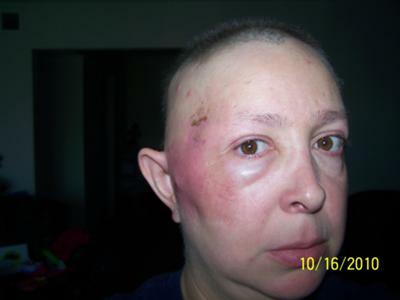 I was one of the cases that did not know the damage that Hydrocortisone can do to your face. I had a rash and started to use the cream for many months. Probably more than 6 months!!. I have since stopped using it and use now Elidel cream and have just started to use UREA 5%. Can you please advise me what cream should I use from your store? I live in Thailand at the moment so will order from your International Website. My face is okay and does flare up sometimes. I use the above two ingredients now and this seems to control the flare ups. unfortunately, I think I have ruined my skin for life. I am a 40 yr old male and I had very nice skin but now it has become very thin and I am sure in time very wrinkly. Can you please advise me if my condition can ever be reversed and what creams and medication I should get from your site? I can certainly understand your great dismay and frustration over using hydrocortisone cream for so long and how now you are seeing its damaging effects. I must tell you that the cream you are presently using called Elidel Cream, contains 1% pimecrolimus and is a prescription cream that belongs to a family of immunosuppressive drugs called calcineurin inhibitors.All forms of steroid creams produce potential side effects and health hazards. Some of these side effects include: thinning and discoloration of the skin, easy bruising, permanent dilation of certain blood vessels, burn marks on skin, liver and kidney damage and a weakened immune system. My strong recommendation is to not use this cream at all! To help your skin recover from the damage you must use natural, healing products only. Given the proper tools, the body will respond to wholesome, health building ingredients. Here is my full recommendation both topically and the supplementation I recommend. First, wash with our FACE & BODY WASH which is a hypo-allergenic wash which helps the process of washing away the dead skin cells from the skin while providing an anti bacterial cleansing. This is critical in order to begin the healing process. 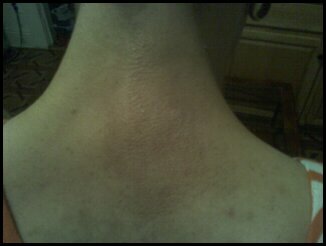 Next apply our FACE & NECK THERACREAM twice daily focusing on the areas exhibiting the symptoms. This rich cream penetrates all 7 layers of skin to restore and repair from the bottom up to the very skin surface. The rash will dissipate as balance begins to be restored. To restore and build your immune system, take our INTESTINAL BOWEL CLEANSER to remove impacted waste matter and toxic build up as well as assist in cleansing the liver and kidneys. This will greatly build and strengthen your immune system which has been adversely affected by long term use of steroid creams. L Carnosine Supplement is one of the most important and potent 100% natural antioxidants and supports healthy skin and healthy aging by promoting strong cellular rejuvenation. DMAE Supplement is a naturally occurring substance that protects the integrity of cell membranes and is a potent, site-specific free radical scavenger. It has demonstrated antioxidant and anti-inflammatory properties that make it an ideal skin care supplement. Collagen Type II Supplement is a major structural protein that makes up 75 percent of our skin and plays a key role in providing the structural scaffolding for cells in the skin, tissues, and organs. Please keep me posted on your progress Jehangir and feel free to contact me with any other questions you may have. I have been using a steroid cream on my face for an extended period due to a rash caused by an allergy to medication. I took myself off the use of it several days ago and now I see all the adverse side effects. Peeling, extreme redness, "burn looking" patches, etc....How long till these side effects start to dissipate? Many people are misinformed and even uninformed as to the dangers of extended steroid cream usage. That said, I am proud that you stopped using this harmful drug. Unfortunately, what you are now experiencing is what is known as the "rebound effect" which produces the very symptoms you are trying to get rid of! Other side effects include thinning and discoloration of the skin, easy bruising, permanent dilation of certain blood vessels, burn marks on skin, acne, facial hair, liver and kidney damage and a weakened immune system. To relieve the rash and rebuild the skin on your face, you will need to use only health building ingredients. First, wash with our FACE & BODY WASH which is a hypo-allergenic wash which helps the process of washing away the dead skin cells from the skin while providing an anti bacterial cleansing. This is critical in order to begin the healing process. Most soaps, even doctor recommended ones, contain harsh and drying chemicals that will only exacerbate the symptoms. Avoid these! Next you will want to apply our FACE & NECK THERACREAM twice daily focusing on the areas exhibiting the symptoms. This rich cream penetrates all 7 layers of skin to restore and repair from the bottom up to the very skin surface. The peeling, redness and patches will dissipate as balance begins to be restored. Both of these products are formulated with skin nurturing ingredients that repair, restore and replenish natural moisture levels in the skin. Please keep me posted on your progress Barbara as you begin your new regimen. No More Itchy Rash!! My Whole Family Loves Your Products!!! My daughter has terrible skin problems - mainly on her face. Overnight it can become very red with a rash, and can go away just as quickly. She has been to many doctors with little satisfaction. One even told her he would trade her for his heart problems. This has been going on for at least 20 years. She uses mainly Eucerin moisturizing creme - doctor's recommendation. Any suggestions? You mentioned that your daughter mainly uses Eucerin but I'm not sure if she realizes how "drying" the ingredients in this product actually are! For instance, the ingredients for Eucerin Original Moisturizing Creme are: Water, Petrolatum, Mineral Oil, Ceresin, Lanolin Alcohol, Methylchloroisothiazolinone, Methylisothiazolinone. You can see that the primary ingredients in this product are petrolatum and mineral oil. Mineral oil is the by-product of making gasoline from petroleum and since we use so much gasoline, it makes mineral oil very cheap for companies, therefore it makes for a cheap and toxic filler. Further, the molecules are much too large to even penetrate the pores of the skin, so it sits on top of the skin with a greasy feeling and can actually make her problem even worse. I have two very natural and deep penetrating products that I highly recommend for her. She should use them daily! First, what she washes with is so very important and I can't emphasize this enough. Many products on the market today are loaded with harsh, drying ingredients that strip the natural PH of the skin leaving it further vulnerable to the effects of sun, wind and environmental air. She should use our gentle and pure FACE & BODY WASH that will deeply cleanse AND MOISTURIZE her skin even before she applies cream. This is an important feature since a cleanser should leave the skin with a plus moisture level and not a minus moisture level! Next she will want to apply our FACE & NECK THERACREAM twice daily. This rich cream penetrates all 7 layers of skin to unpack dry, damaged cells and restores much needed moisture from the bottom up to the very skin surface. Further, our FACE & NECK THERACREAM will stop any itching and reduce the redness she is experiencing as it has anti-inflammatory properties as balance begins to be restored. Both of these products are formulated with skin nurturing ingredients that repair, restore and replenish natural moisture levels in the skin. Since I believe in holistic health care, these next two products I would like your daughter to read up on here on our website as a consideration to whole body cleansing and nutrition as this impacts our lives and health greatly! INTESTINAL BOWEL CLEANSER - removes impacted waste matter and toxic build up as well as assist in cleansing the liver and kidneys. This will greatly help the immune system as well. GREEN POWERHOUSE - provides the body with the widest array of vitamins, minerals and enzymes needed by the body to repair and replenish. This formula also contains the highest amount of chlorophyll which further cleanses every cell as well as promotes healthy cell growth and development. Please keep me posted on your daughter's progress Mrs. Wilson. I have had the itchy pregnancy rash 'PUPPPS' for over 12 weeks now which has covered my arms, legs, stomach and backside. My specialist prescribed Diprosone' a cortisone cream which I used ALOT (over 10 tubes), however as you can imagine my skin has become highly sensitive and paper thin in parts. Patches are like they have been burnt and the only thing I can stand to put on it is pure vitamin E oil however, that doesn't seem to be even hydrating the skin and repairing. 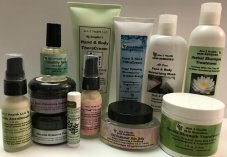 Do you have any suggestions as to a moisture based repair cream like the lady above on your website - Charlene from Iowa mentions? Her daughter's marks sound just like mine. First, I have to tell you that I am shocked that your specialist not only prescribed such a strong steroid but allowed you to use over 10 tubes of it! For our website viewers, let me explain that "PUPPP" stands for Pruritic Urticarial Papules and Plaques of Pregnancy, which is a chronic hives-like rash that strikes some women during pregnancy. Although extremely annoying for its sufferers (because of the itch), it presents no long-term risk for either the mother or unborn child. PUPPP frequently begins on the stomach and spreads to the legs, feet, arms, chest, and neck. Further, the cortisone cream you were prescribed, called Diprosone, is a topical corticosteroid containing a compound called Betamethasone dipropionate. Bethamethasone is a very potent glucocorticoid steroid that has immunosuppressive properties. Betamethasone dippropionate is 600 times stronger than hydrocortisone cream. Because Diprosone cream can penetrate inside the skin cells very quickly, use of large quantities over large parts of your body should be avoided as large quantities may be absorbed into the blood stream, which could lead to serious side effects. Common side effects of using Diprosone may include allergic reaction, rash, irritation, acne, burn marks, itching, discoloration of skin, liver and kidney damage and a weakened immune system. First, wash with our FACE & BODY WASH which is a hypo-allergenic wash which helps the process of washing away the dead skin cells from the skin while providing a anti bacterial cleansing. This is critical in order to begin the healing process. Most soaps, even doctor recommended ones, contain harsh and drying chemicals that will only exacerbate the symptoms. Avoid these! Next apply our MY DAUGHTER'S HAND & BODY THERACREAM which is a hypo-allergenic skin cream filled with health building ingredients. It will stop any itching while repairing the skin tissue 7 layers deep . It also has dynamic anti-bacterial, anti-microbial and anti-fungus properties to prevent potential skin infections. The skin repair treatment should be plant based, contain shea butter, stop itching, fight possible infection, and repair skin 7 layers deep and be hypo-allergenic. This is crucial to getting "deep down" relief and resolve from your situation. Please keep me posted on your progress Belinda. Also, please note that we refer all of our International customers to our sister website at: www.aim2health.com where you can order all of the same products as are available on this website. I begin by saying I have one round, dry spot on my chin. It spreads to a few areas on both sides of my neck and then a few spots on each cheek and each side above the chin line. I have had this before. Again, it may start at the corners of the nose and spread to different areas of the cheek. I am 55, exercise every day and take vitamin supplements. Water is an issue...I am working on that. It is my only beverage except for tea at times. I am taking a whole-food B supplement. Lack of sleep is also a factor because of my job. Working to improve that as well. I do receive monthly facials. At times, I can feel the heat erupt within. I am assuming hot flashes, however, I thought I was finished with menopause. I am thinking I should add Vitamin A since I take the Omega 3 supplement. Is there anything else? 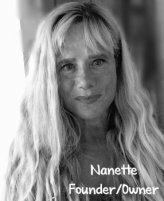 Thank you so much for your time, Nanette. 3) Take once per day our GREEN POWERHOUSE to provide your body with the widest array of vitamins, minerals and enzymes needed by the body to repair and replenish. What Would You Reccomed For Dark Odor Rash Underarm? I have purchased two of your products. The Face & Body Wash and Face & Neck TheraCream. They both work really well. But I was wondering what you would you recommend for dark odor rash underarm? Comments for What Would You Reccomed For Dark Odor Rash Underarm? Response to: What Would You Reccomed For Dark Odor Rash Underarm? Skin rash and discoloration can be the result of many things from allergic reactions to fungal problems. We have a number of customers who have successfully helped their dark underarm rash symptoms by first cleansing with our All Over Face & Body Wash followed by an application of our My Daughter's Hand & Body TheraCream twice daily. Consistency and patience will yield positive results. Remember that the body truly responds to health building ingredients.